Fed up with cheap backpacks that look really cool but last about a nanosecond before they fall apart and get tossed into the trash can? Me too. Fortunately, we've all got choices and I'm making no qualms about the fact that this little beauty is a great choice. 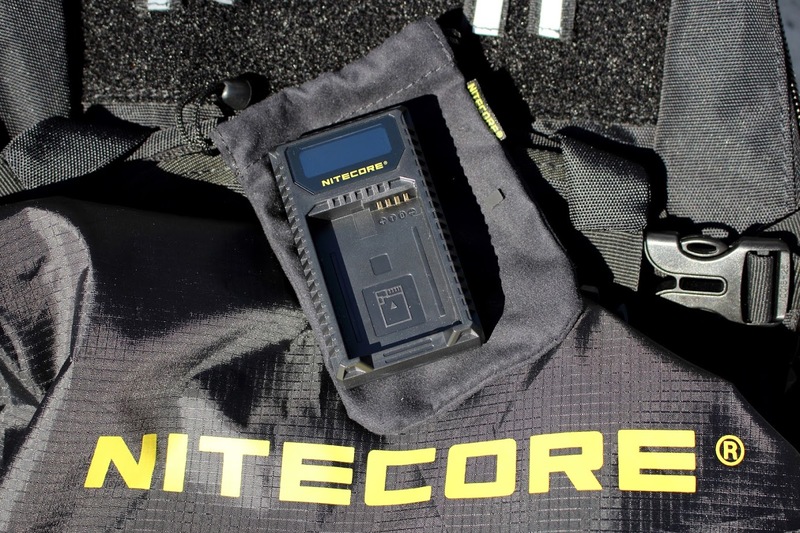 The Nitecore BP20 is the first backpack from Nitecore, offering high-quality materials and excellent features at an affordable price. 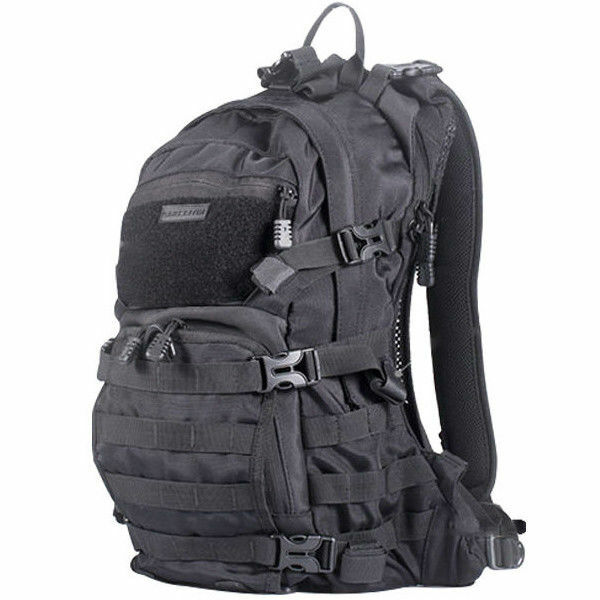 The rucksack is made from 1000D nylon (military spec) which provides high strength whilst being lightweight and breathable. 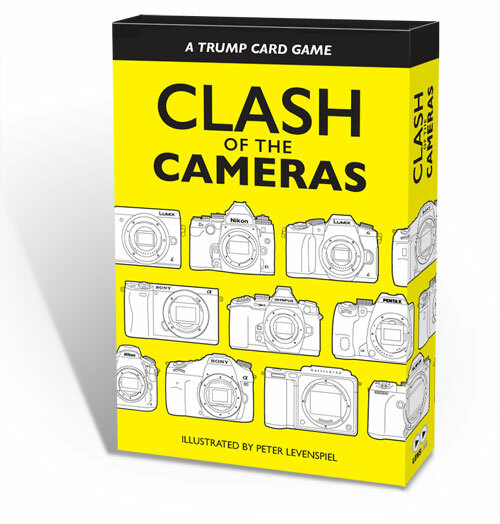 Originally designed for the hunting market, I've found that it also works great for photographers and cyclists and anyone else who is fed up with cheap bags that fall apart way too easily. 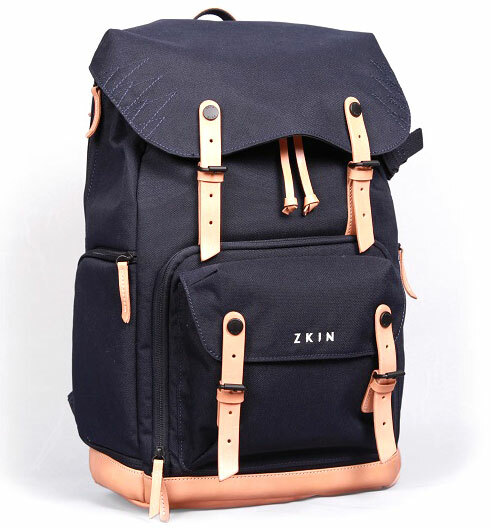 Using this bag is a pleasure; The bag has a ventilated back with a wide webbing cloth and a removable backboard for support plus there's an ergonomic groove to reduce pressure on the spine. 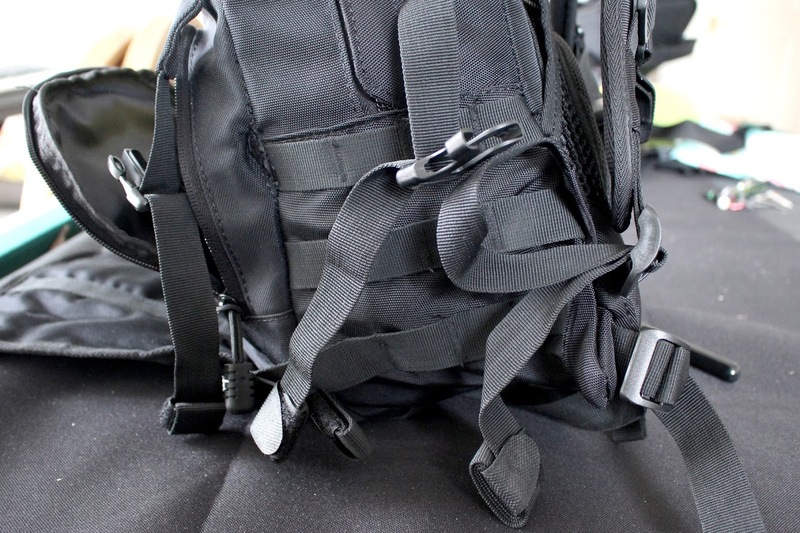 The shoulder straps are padded and use an S-shaped design to alleviate pressure on the shoulders, in addition to a waistband for weight distribution. 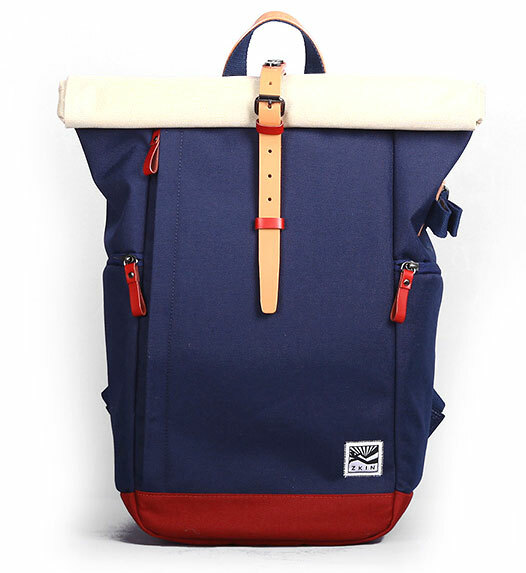 Strapped on correctly, this bag stays firmly against your back whatever you're doing. Adjust it carefully and you will be able to carry a full load all day. 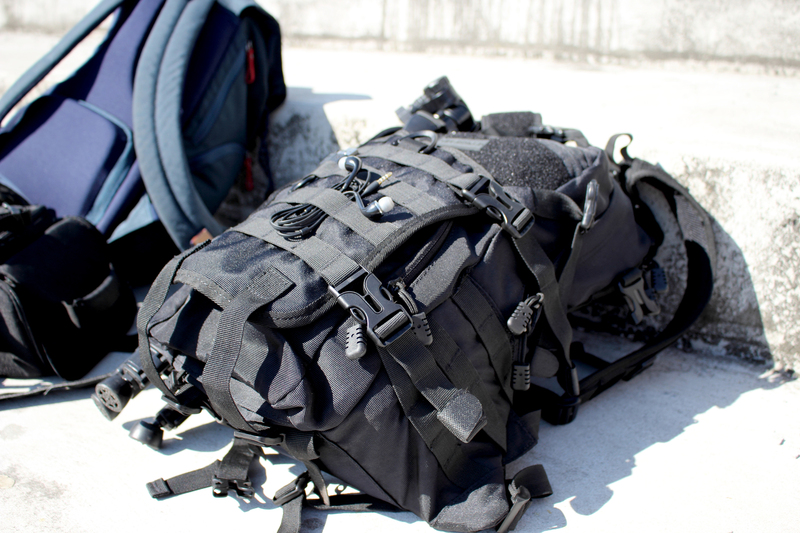 The 20 liter capacity means it's compact and best suited as a day pack. 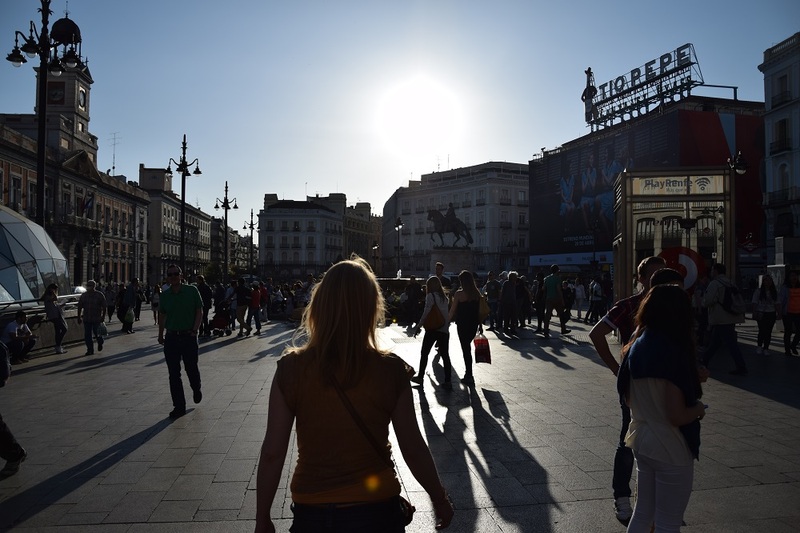 However, there is plenty of space for a DSLR with lens in a small camera bag or insert of its own plus a spare lens, lunch, phone, wallet, rain jacket or sunscreen. The bag opens up really wide so you could lay the bag on its back and open it up to view almost all of the contents without taking anything out... this is really handy if, like me you've thrown your keys in willy-nilly and they have found their way to the bottom of the bag. 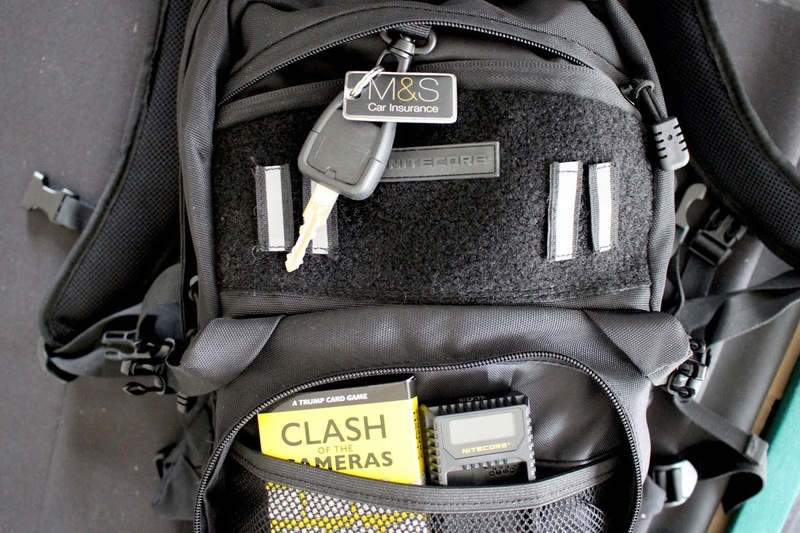 There are plenty of compartments to help keep you organised with key holders and pockets that are ideal for things such as chargers, cables and memory cards all in just the right place. 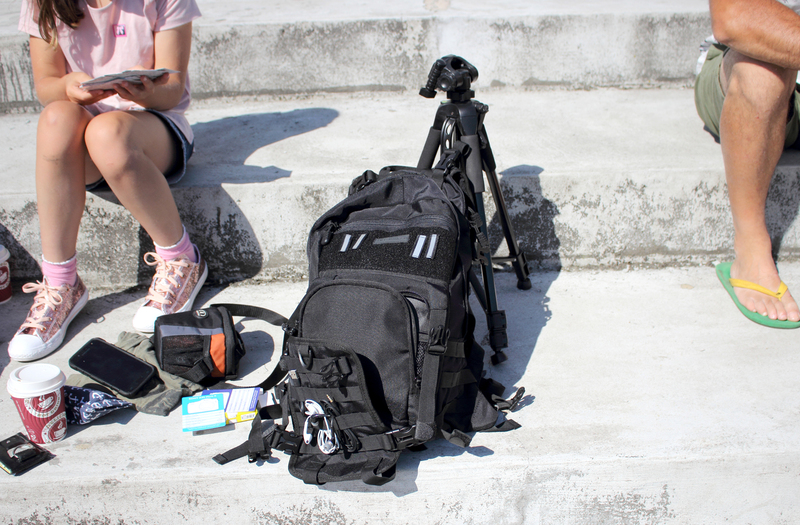 On the outside there is plenty of straps to keep things such as tripods tethered securely to the sides. 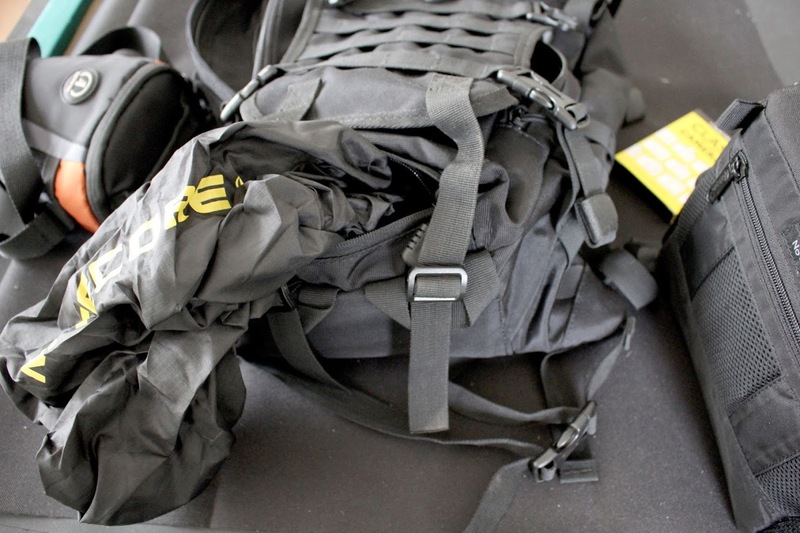 There are also plenty of straps sewn into the bag like webbing that make great storage for cables and an easy way to attach pouches etc in just the right place. They also make the bag incredibly tough. It feels like you could drop it in the path of an oncoming car rally race; 50 cars could tear over it grinding it into the rocky road and it will come out fine. The contents will be trashed, but the bag will live to see another day. The extendable mole system on the front is perfect for holding things such as a bike helmet or a pair of strobe lights. 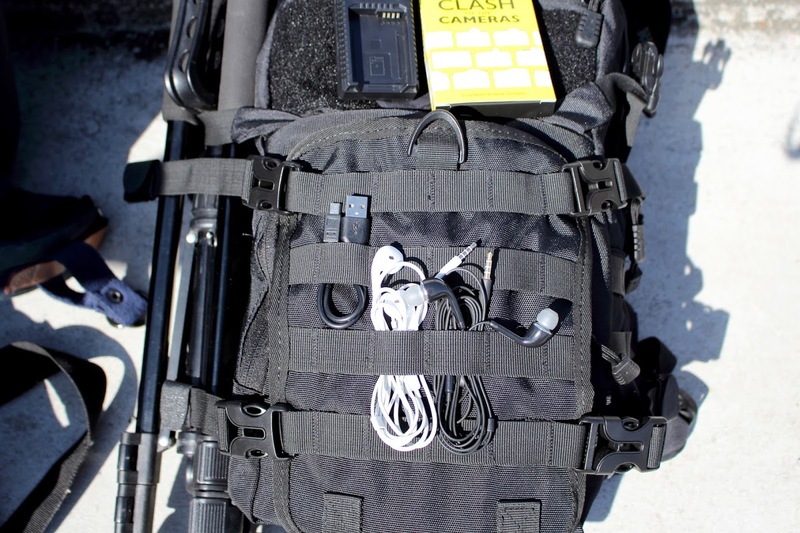 The webbing works as a perfect cable tidy that can be faced in to keep them secure or out to give you fast access, or detach altogether to use at your desk and then clip on to the bag when you're ready to go. All the pockets are dual zipped with strong zippers that are easy to grab and comfortingly sturdy. The bag comes with a rain cover to ensure your gear is kept dry in anything the British weather can throw at it. When not in use, it can be folded and neatly stored in the bottom zippered compartment of the bag. 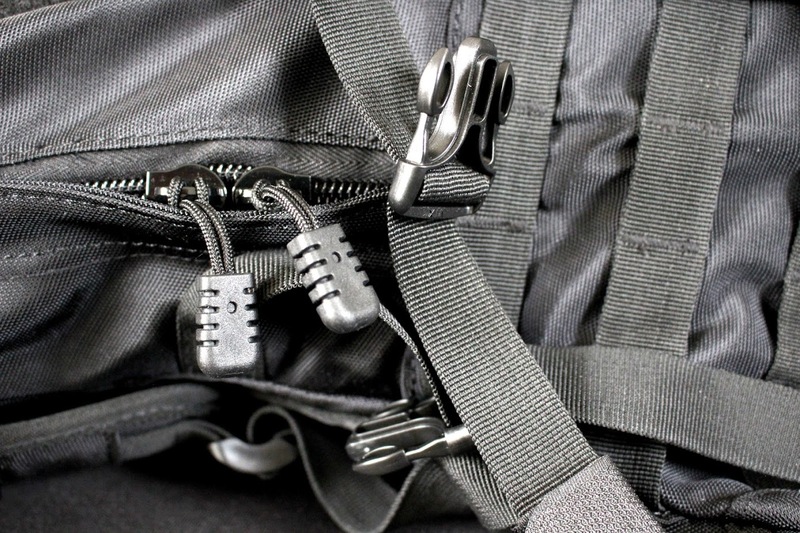 You'll also find some velcro reflective tabs that can be stuck onto the front of the bag straps or the top of the rear compartment in a way that can help customise the bag for you to identify it easily. It's a really nice touch and makes the bag much more fun to set up and use. 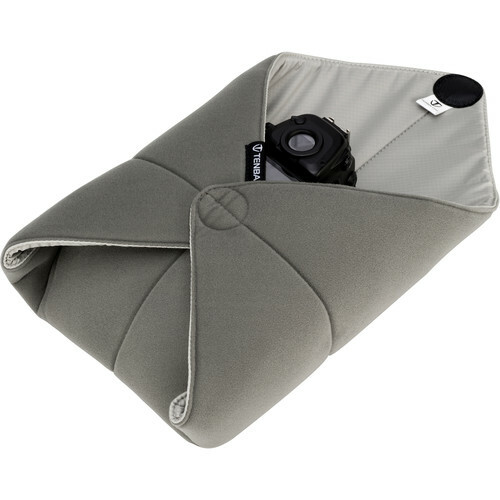 Lens Lab is selling these bags for £69.99 which makes them fantastic value for money. You can buy a trendy bag for half the price but this one, unlike many others, won't fall apart right when you need it to hold together. 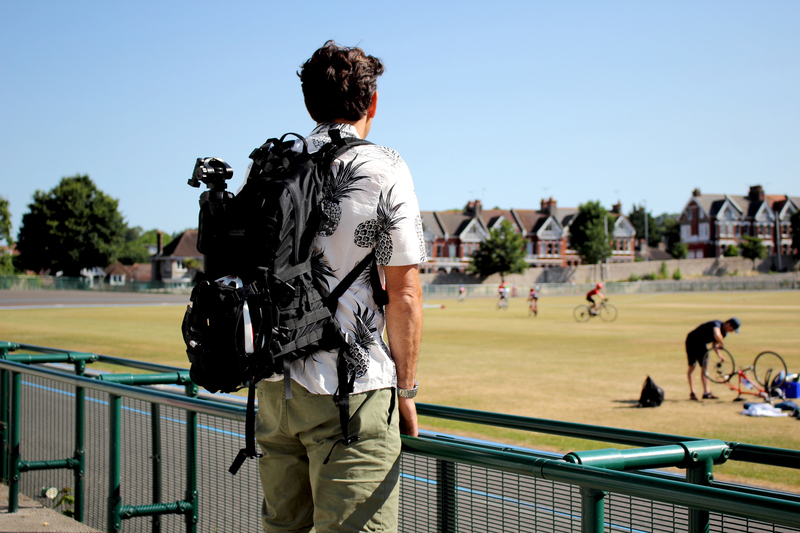 If you're as adventurous as me, you know how important it is to have the gear you can rely on and that starts with having a reliable bag to carry it in. Weight:	1.5 KG / 52.9 oz.